Apparently, the developers of Octavian Gaming believe that the images of various plums, apples and watermelons won’t ever bore gamblers. Otherwise they would not create the new machine with the similar theme. This Octavian Gaming unit lets the gambler betting at twenty constantly-used paylines. The machine has also the same amount of images of various fruits. They are arranged according to the scheme 5×4. The rates for all twenty positions are necessarily equal. They are 2-500 credits. So for the least bet is forty units and the largest one cannot exceed 10,000. Thus, you can easily guess that the biggest payout here is tremendous, and this is true. Only simple signs, stacked Wilds of two types and function Cascade are implemented in Fruit Fall slots. Base pictures form winning chains on the involved paylines. 3-5 similar signs for special combinations that bring the gambler profit. The prize the player gets depends only on the bet made and the Fortune. The largest coefficient to multiply the bet equals a thousand! 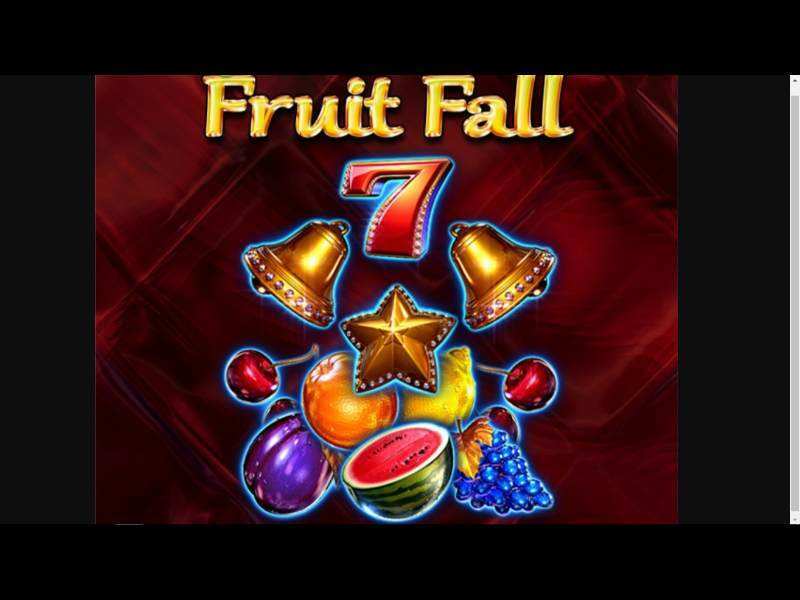 Fruit Fall slots use classical pictures: cherries, watermelons, grapes and similar fruits. Besides these signs the slot offers also Bells and Sevens. While the unit has no Scatter, it suggests two Wilds, “diamonds” that are painted in pink and blue. They go by strips and replace other pictures in combinations. When such an element helps to compose a winning chain, the Cascade function is launched. All the symbols that formed the special disposition of the signs are replaced with the other, new signs. If a new sequence of these signs is being formed, a payment is made on it, and the process is started again. Pink diamond, participating in combinations, increases an additional factor by one. The maximum coefficient here can be x5. When the series ends, it is reset. Settings here allow you adjusting the sound and screen (graphics) features. You can start a new spin with a double click, so that the reels stop shortly after starting. There is a Paytable with coefficients, a layout of lines and general rules. There is also a separate reference section with a data concerning all the signs that are used in this stunning machine. When the gambler feels exhausted and tired of the job he was doing at work, he can relax gambling and using the AutoPlay functions. This stuff starts the reels rotation automatically, but the number of these rotations (spins) should be set in advance. The game opens directly in the browser, so you won’t not download or install additional software. Very beautiful design, great animation effects and an exciting feature of Cascade will be enjoyed by each one, who wishes playing and earning real money. However, before making any certain bets play free Fruit Fall casino slot machine. This perfect and generous option will give you another chance of understanding the gameplay or simply rest. 0 responses to "Fruit Fall Slot"